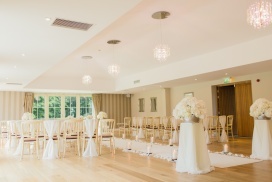 Our team of experienced wedding and event managers will ensure your event is flawlessly planned and managed. Whether its a wedding, corporate event, boardroom lunch or just the finishing touches like a candy cart we arrange everything leaving you worry free to enjoy your day. 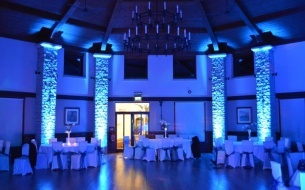 Based in Glasgow we provide event management services for the whole of Scotland and northern England. Crest provide services from ‘on the day’ event management, pop-up bar hire and champagne receptions to corporate events and business lunches. 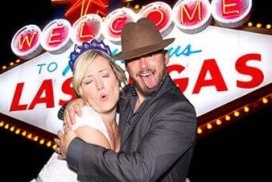 Bring your party to life with a photo booth and keep your guests laughing all night long. 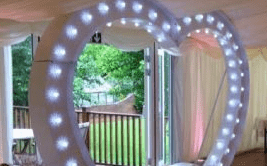 Hire a photo booth for your wedding, party or event we cover Glasgow and the central belt. 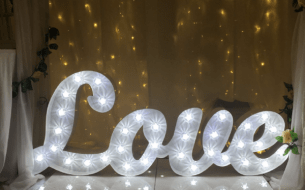 Check out our full range of LED letters for hire, giant numbers and our new in love heart shaped arch measuring 2.4 meters! Guaranteed to make a statement at any event. 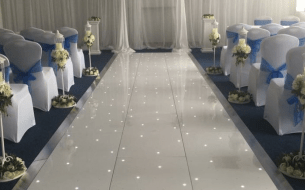 Your can hire our white LED dance floor for your wedding, party or event and it will keep your guests dancing all night long. The only complaint you'll get is sore feet from dancing all night long! Take the stress out of planning your wedding by using Crest Events. We can plan every detail of your wedding leaving you to enjoy your day to the fullest. We work with our preferred suppliers to get you the best value. 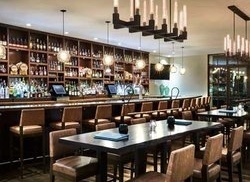 We provide a full catering service for any event. 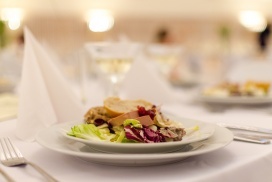 Take a look at our example menus for wedding breakfast, corporate lunches and parties. We offer a pop-up bar hire in Glasgow and around the central belt. We provide fully licensed bar staff and offer this service for a range of events such as wedding receptions, parties and corporate clients. 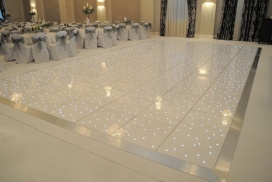 Crest Events now offer white LED dance floor hire for weddings, events and any celebration. 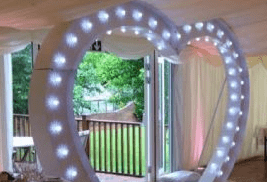 Bring a sparkle to your event which will have your guests in awe. 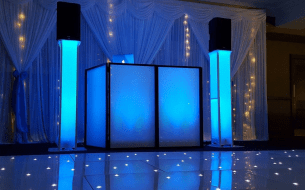 The luxury dance floors come in five sizes. 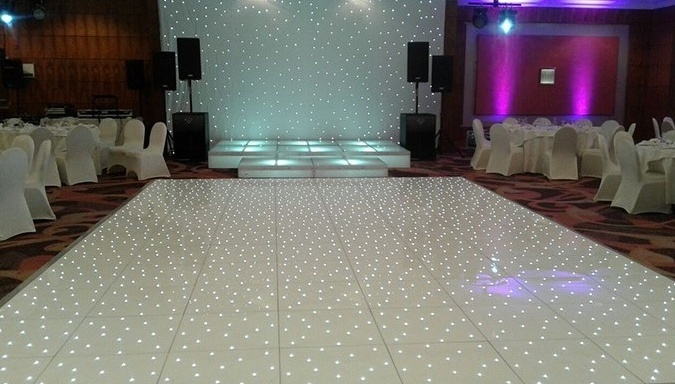 Have a look our our LED dance floor hire page for prices, pictures and more information. 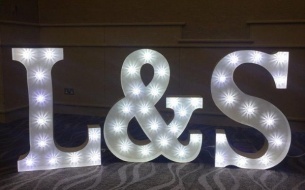 "Having one point of contact for my product launch made my job stress free as Crest managed the caterers, champagne reception, set up and clean up for everything. " “Fantastic is the only way I can describe your services. I enjoyed my day so much more than I thought I could have. Thanks so much."